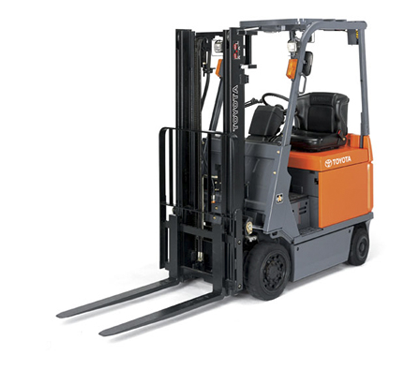 Once again, Toyota ingenuity and design have come together to create the revolutionary 7FBCU electric forklift with the AC (Alternating Current) drive system. Yet the AC drive motor isn't the only milestone component driving these products. Toyota's exclusive System of Active StabilityTM (SAS) shares the spotlight. These two industry-leading technologies combine to elevate operator productivity and workplace safety to unprecedented levels. Check out the information below, and don't forget to visit your authorized Toyota Industrial Equipment dealer to get a demonstration!